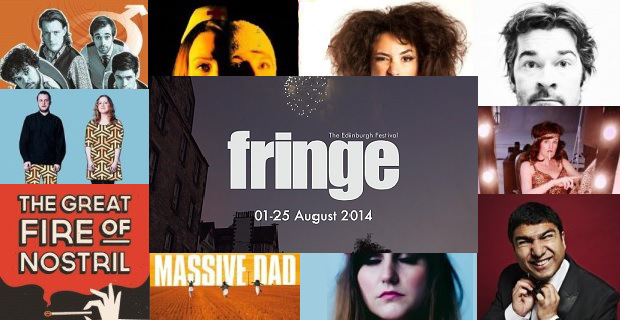 Having covered the best stand-up comedy shows and the best free comedy shows at the Fringe this year, it’s now time for some sketch and character comedy recommendations. I assure you, we have not received any financial support from the Pleasance for this article. They just have a lot of good sketch and character acts this year. 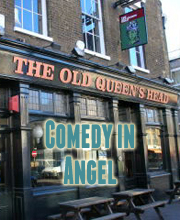 We also have a list of the best stand up comedy shows at the Edinburgh Fringe 2014 and a list of the best free comedy shows at the Edinburgh Fringe 2014. 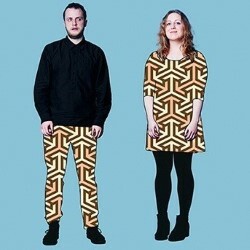 Relatively new to the sketch world, Twins comprises established comedy names Jack Barry and Annie McGrath. We’ve yet to see them in action, although their credentials hold up – the show is produced by Invisible Dot and they’re wearing crocs in one of their promo shots. Led by the twisted mind of James Hamilton, Casual Violence represent the dark side of sketch comedy, skillfully creating a disturbing world full of lonely, anxious, strange and gruesome characters. They’ve been called a ‘mix Game of Thrones, the League of Gentlemen and Roald Dahl’. It seems apt. Also, don’t miss out on their free show. We first saw Toby on a whim in 2011 after admiring the simplicity of the name and the appeal of the free asking price. 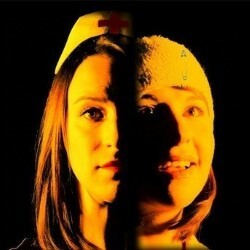 Since then Toby – the sisterly duo of Sarah and Lizzie Daykin – have become a real force at the Fringe, again delving into twisted ideas and developing a complex, almost sinister, sibling relationship. We’d be tempted by the name alone. 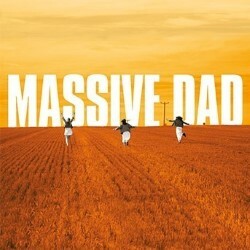 But Massive Dad have also been gaining massive acclaim across massive London from people who like good things. I don’t think any of the three members – Stevie Martin, Tessa Coates and Liz Smith – are massive dads though, so don’t head along with any such expectations. 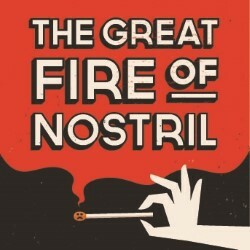 This group has been coming to the Fringe for years now and have built a reputation of the masters of League of Gentlemen style sketch narrative shows. Previously they’ve faced a runaway train, a race to space and the end of the world, and this year they give us Happenstance. 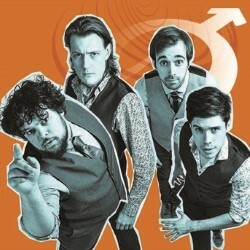 Also, watch out for free double-bill solo shows from the four members. We had Nick as Mr Swallow at one of our shows earlier this year and he smashed it with an amazing set of multimedia imagination, magic and pure energy. Can he keep it up for an hour? Of course he can. He’s brilliant. As one quarter of the much-acclaimed Oyster Eyes Natasia honed her skills in surreal character comedy. Now she’s going solo, but we’re expecting similar weirdness and brilliance. 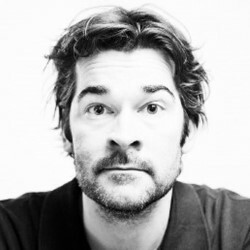 This is Adam’s hotly awaited return to the Fringe after winning Best Show in 2011. in those intervening years he has made his own Radio 4 show, appeared in Sky Atlantic’s Common Ground and continued to perform his brilliant, interactive comedy all over the world. 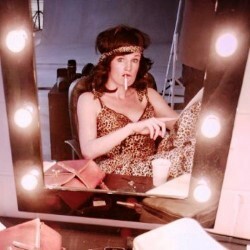 Beth Vyse has emerged as one of the country’s most exciting and experimental character comics, culminating in her 2013 Edinburgh Fringe show Going Dark, which stood out as one of the most bonkers Festival encounters we have witnessed. Her 2014 is show is looking similarly madcap, camp and charismatic, and we couldn’t be more pleased. If there’s one thing style of comedy I love, it’s the anarchy of a clown that lacks any pretension and brims with personality and fun. And Tessa Waters is the perfect fit. 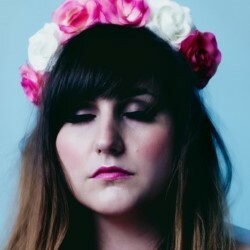 We’ve become big fans of her appearances in Laugh Out London’s more experimental run of comedy nights (her Lou Reed and Twin Peaks impressions were spot on) and we’re confident her solo show will deliver on that promise.